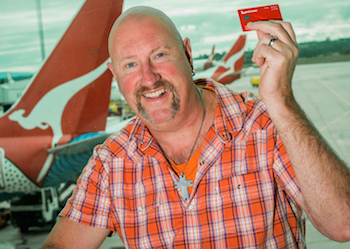 Grant Welsh, a 52 year old person from Victoria, is the 10-millionth person to become a member of the Qantas Frequent Flyer loyalty program. The airline is celebrating by giving away prizes of a million points each to members in each state across Australia and New Zealand (for reference, one million points is worth just over four De’Longhi Eletta Fully Automatic Espresso Coffee Makers). Qantas Frequent Flyer was launched in 1987, with 50,000 members and a member proposition mostly around earning and redeeming points on Qantas flights. There is, however, a Qantas Frequent Flyer brochure from 1987 that details non-flight reward options including fine china and glassware, exercise equipment and even a ride-on lawn mower (a reward members can still claim today, though hopefully it’s a different model). 27 years later, the program now has hundreds of program partners including 38 partner airlines, all major banks, Woolworths and others. 1987 – Qantas Frequent Flyer launches. 2001 – Tiered recognition levels (Bronze, Silver, Gold, Platinum) introduced. 2007 – Reaches five million members. 2008 – Options for members to use their points increases with the launch of Qantas Store online merchandise and Any Seat Award flight rewards. 2009 – Introduction of partnership with Woolworths allows Australians to earn points on their weekly grocery shop. 2011 – Launch of Platinum One status tier to recognise and reward members who are the top flyers in the program. 2013 – Launch of Emirates partnership offering a combined total of more than 175 additional destinations worldwide for members to earn and use points. 2013 – Launch of Qantas Cash, the prepaid membership card to allow members to earn points while using 11 currencies. 2014 – Ten millionth member joins.